There is just something about handprints that I love. They capture a moment in time that is so precious, and I treasure them as tangible pieces of their childhood. What’s even better is when you have a reason to look at those adorable handprints all of the time? 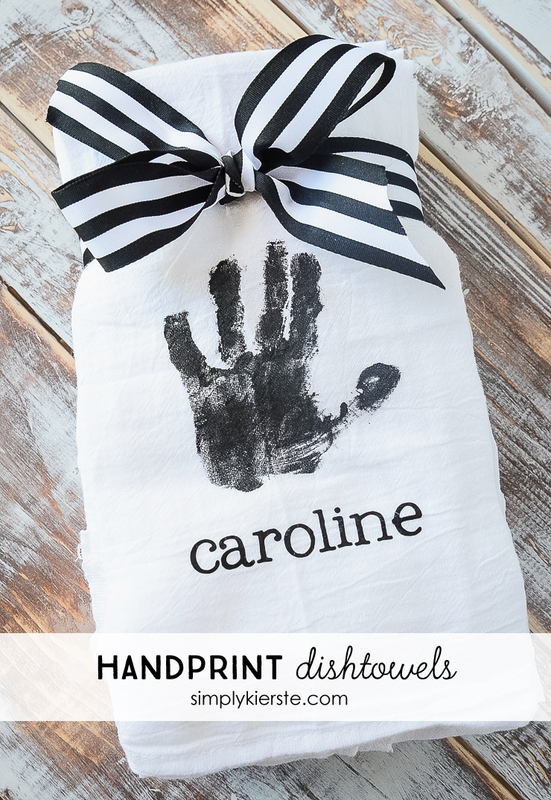 I created the cutest Handprint Dishtowels that are perfect for proudly displaying in your kitchen, and they’re also perfect for Mother’s Day, which is right around the corner! SO cute! I made a set of six dishtowels–one for each of my kids. I just keep staring at those cute little fingers, I love them so much. I can’t wait to use them in my new kitchen! This is a very quick project, and you can change the colors and text to personalize it for yourself or if it’s for a gift. Minus the drying time, I put them together in about 15 minutes! I used flour sack dishtowels because they’re my favorite–it’s pretty much all I use–and also because they provide a really great blank canvas for any colors you might want to put with them. They wash and dry well, and the paint absorbs easily. When working with little kids, I suggest getting everything prepped and ready to go before you start, especially a hand washing station nearby. It works best with another adult, so you can hand them off to have their hands washed as soon as their handprint is on. It is manageable for one person if you need to, and I’ve done it before, but being prepared really helps. I washed my dishtowels ahead of time, so they were prepped and ready to go. You can also just throw them in the dryer with a wet towel, and that will take out all the wrinkles. Lay out a large piece of cardboard or a board, then spread out your dishtowels on top of it. This will soak up any paint that goes through. Cover your child’s hand with fabric paint, then place it carefully on the dishtowel, straight down. Press each finger and palm onto the towel, to make sure it makes a good imprint. Lift their hand straight up. Repeat for each dishtowel you’re making. You could even have your child write their name, which would be SO cute! Follow the craft paint directions for curing, washing, and drying–they can differ from brand to brand. I folded and stacked my dishtowels together, then tied a cute ribbon around them. LOVE!! Love this!!! 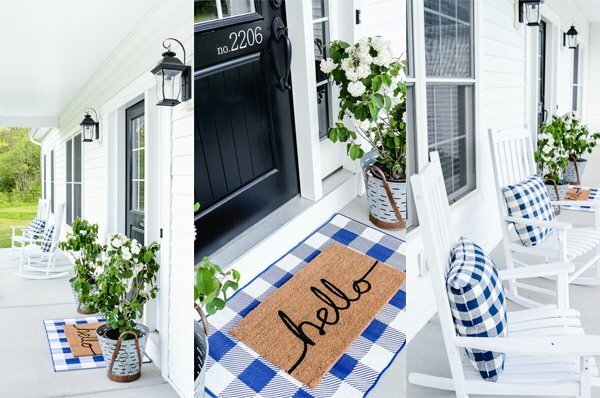 Have you ever used a cricut? Does that have the capability of doing the heat transfer, do you know? I have no idea how that works…. I use my Cricut all the time to cut heat transfer vinyl and it works perfectly! I set my blade depth to 2 and pressure to low so it only cuts through the vinyl layer and not the backing. Such a cute idea! These would be perfect to make for my mom as a gift from her grandkids! HI, Where did you purchase the towels from? Walmart! They came in a 10-pack for around $6, if I’m remembering correctly. What an adorable idea! I featured this on my own blog highlighting sentimental Mother’s Day gifts for grandmothers. This is such a cute idea! We have 10 children in our church and I’m always on the lookout for simple personalized crafts for us to do. This will be an adorable gift for anyone to give or get. Thanks so much for making this available to us. Keep ’em coming!! !